1. 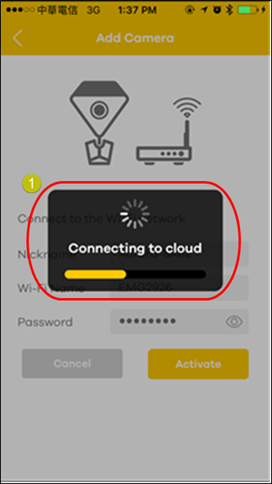 The process is failed to complete under the status of Connecting to cloud. I. Please make sure the Wi-Fi is possible to access Internet. II. Reset the camera and try to add the camera again. III. 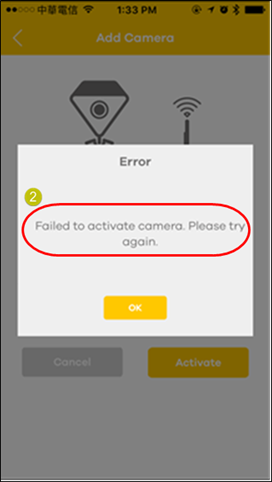 If the Internet is accessible, but the camera is still no possible to connect to cloud successfully, then please contact your local support team or reseller for the assistance.